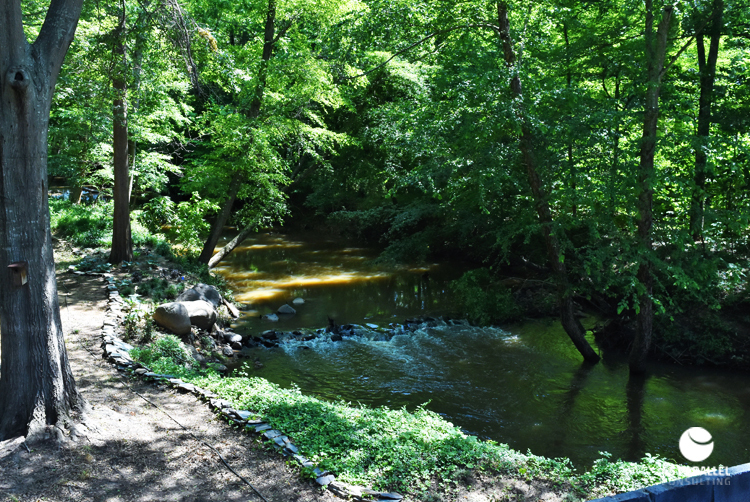 Picture this: the hypnotic murmur of Fishing Creek, just behind the Robertson House. Immediately to the right, a large tree lined clearing to accommodate seated guests. Around the clearing, a narrow footpath along which the bride can make her entrance. Hard to believe this serene location is only 30 minutes from the big city!